Cozy and fun boys' slippers. Boys love to run and play around the house in slippers. 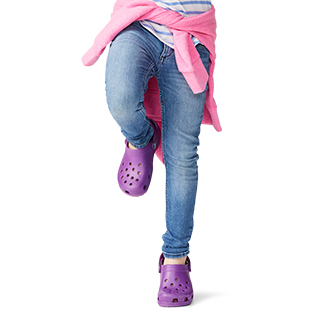 Crocs has just what you're looking for with plenty of kids slipper styles to choose from. Complete with cool colors and styles, these boys' slippers are the perfect gift for any occasion. 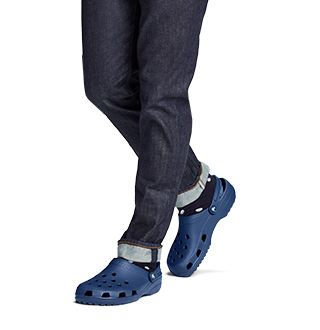 What's the best part about Crocs slippers for boys? 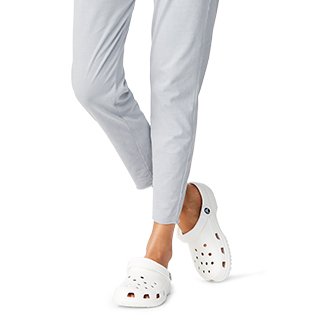 They can be worn inside or outside with the traditional tread and sole of Crocs shoes that won't stop you in your tracks. Boys can run outside and play in these slippers, so don't feel restricted to the home. 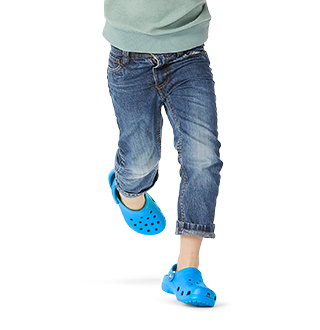 Find out why so many boys love their slippers from Crocs! my 6 yr. old twin boys share these and love them. wear them all the time. i even toss the fur lined crocs in the wash on gentle and they come out clean. Quality shoe. great value. 2nd pair and won't be the last. These were for my grandaughter. We call them her shop crocks. She outgrew the last ones, but loves wearing them in her Beepa's shop when she comes over. My granddaughter loves her new crocs. My 6 and 8 year old love these "winter crocs" and request them every winter! Son loves these. 4th pair I've gotten him.